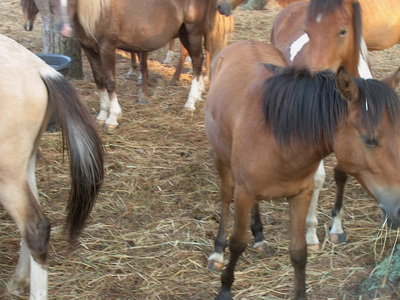 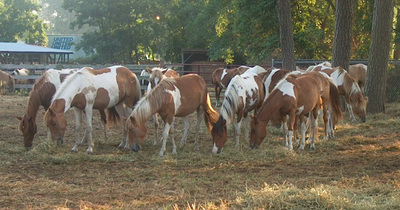 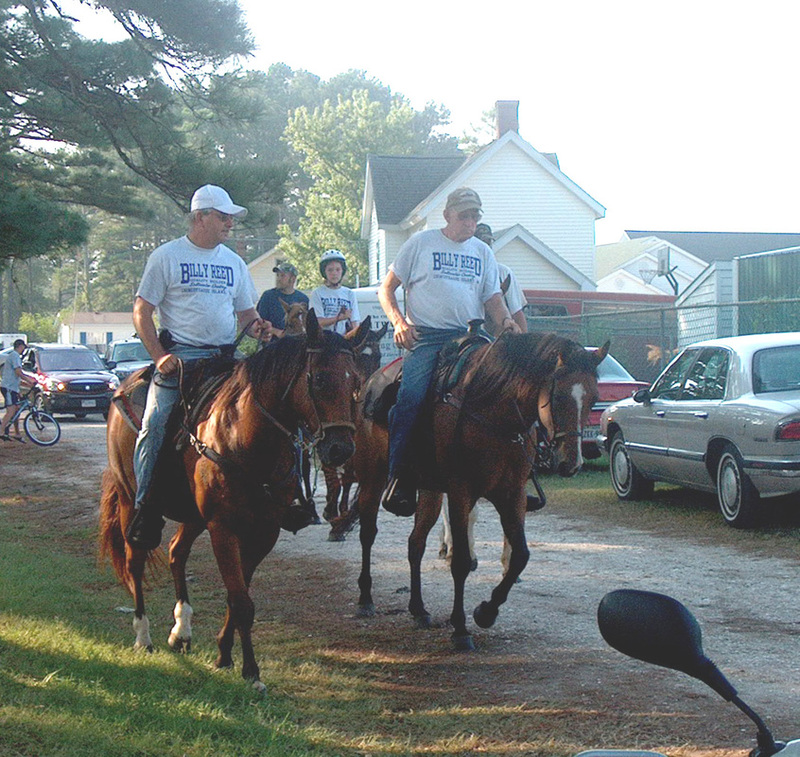 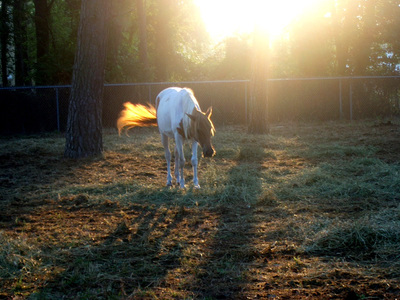 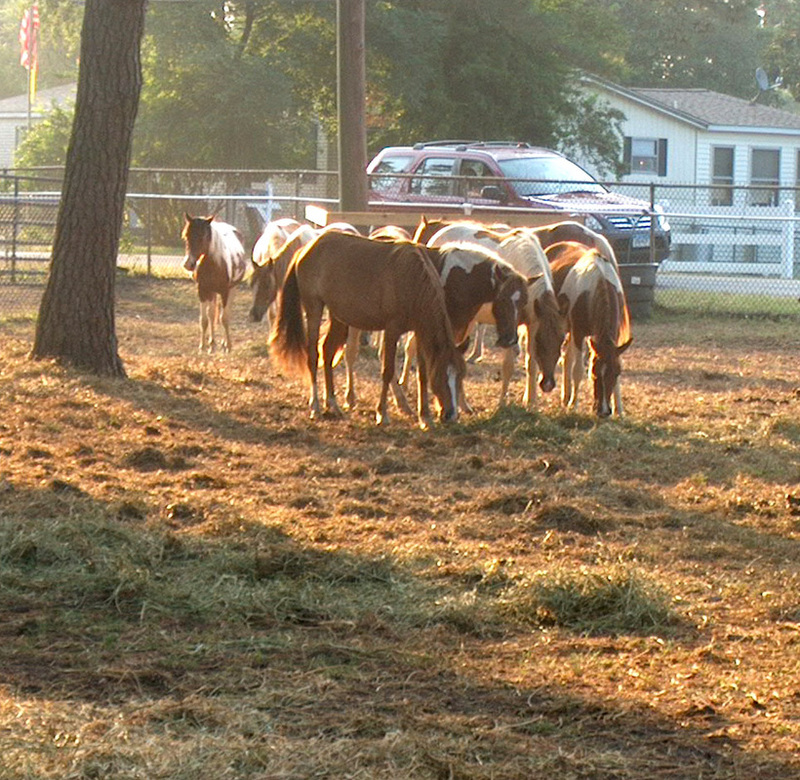 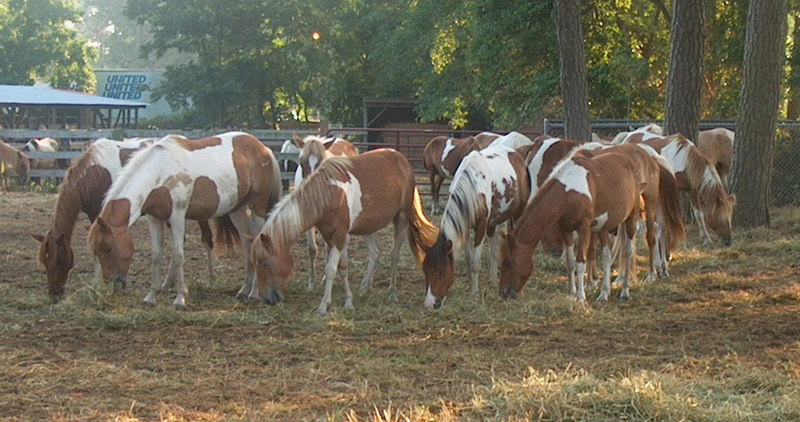 The ponies arrived, as did all other equines in North America, with the earliest European explorers (generally Spanish, carrying Spanish Colonial Horse types *). 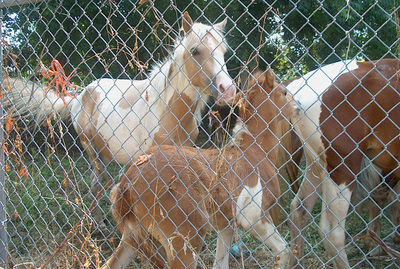 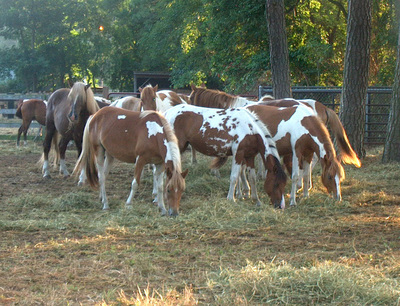 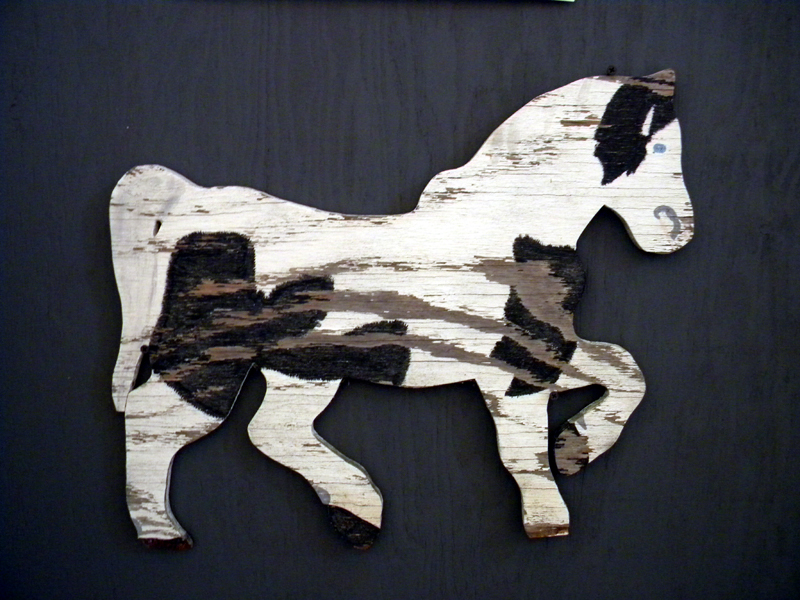 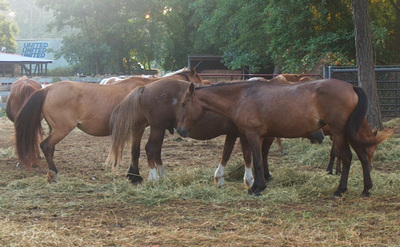 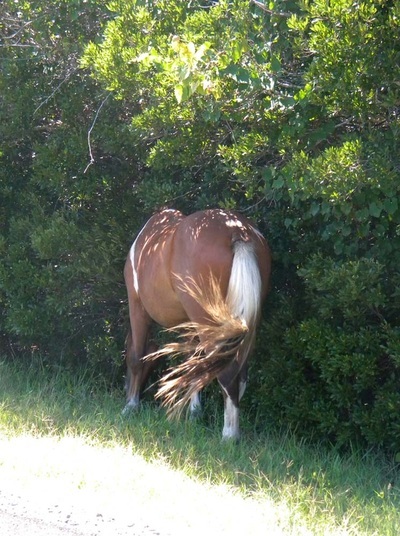 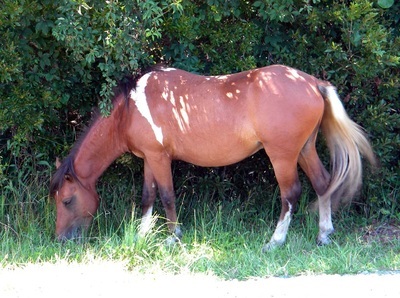 Later colonists turned various livestock loose on the islands to avoid fencing and taxes, shipwrecks deposited ponies and legends, locals trying to improve their own livestock introduced other breeds. 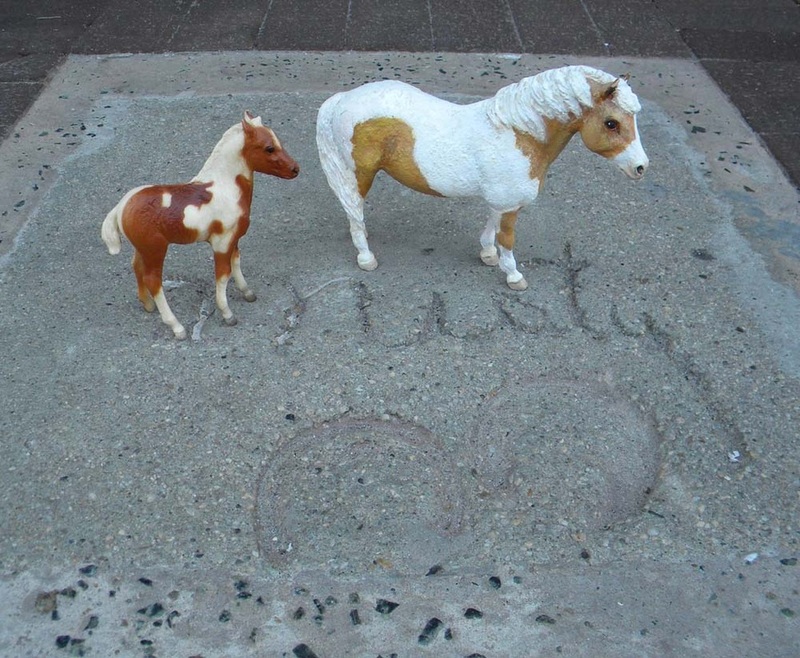 In 1962, a nor'easter nearly erased both islands and a pony named Stormy, with her already famous mom, Misty, helped to raise funds to replenish the horse herds. 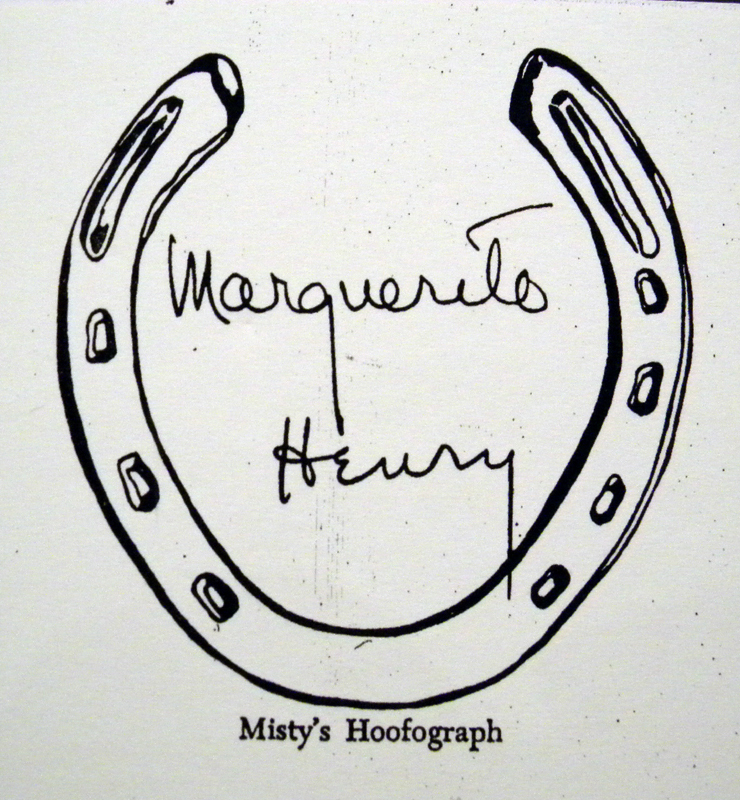 Marguerite Henry's classic kids book, Misty of Chincoteague was published in 1947, and illustrated by the inimitable Wesley Dennis. 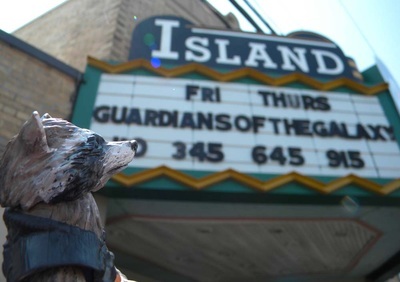 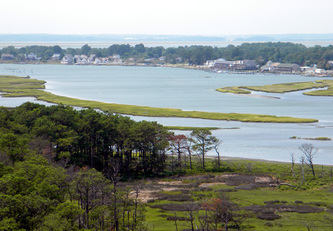 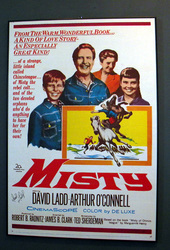 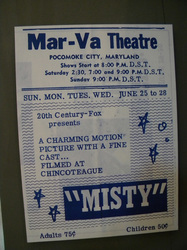 The film, filmed on Chincoteague and Assateague, and starring mostly local folks, was released in 1961. 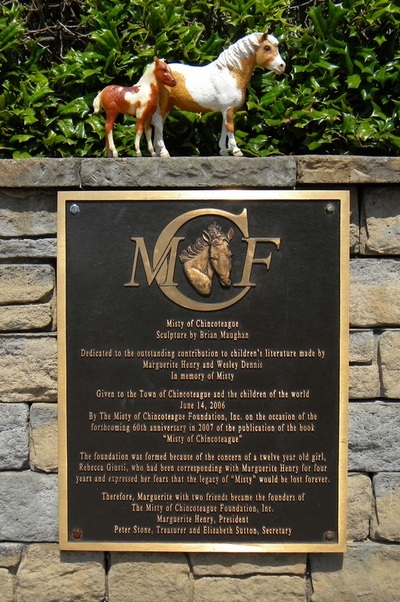 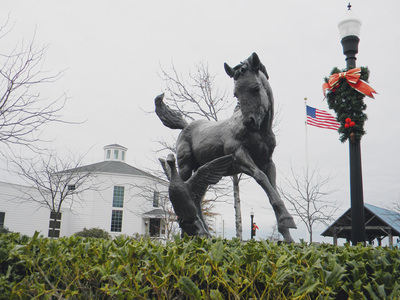 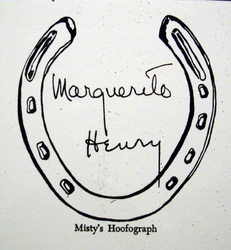 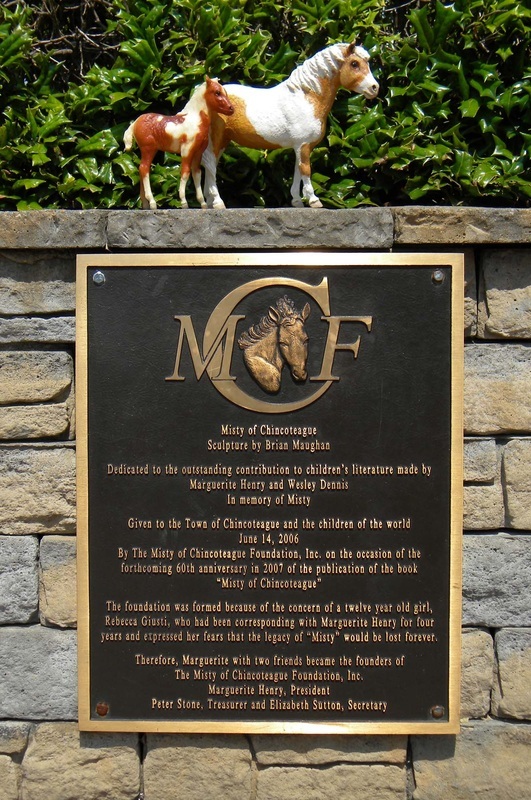 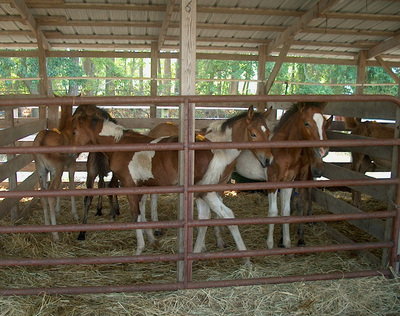 Misty was actually foaled on the Beebe farm, not in the wild, and bought by Marguerite Henry, who took her home to her place in Illinois. 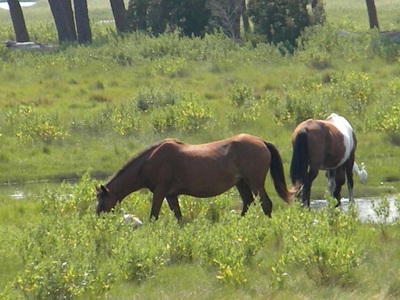 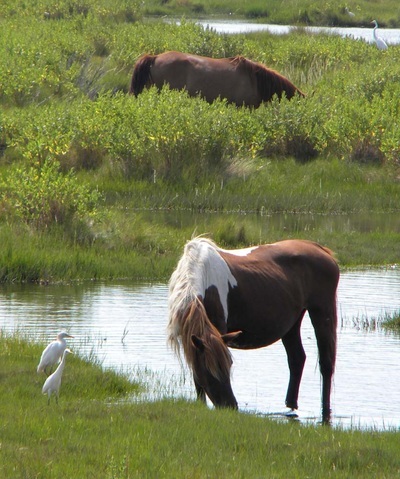 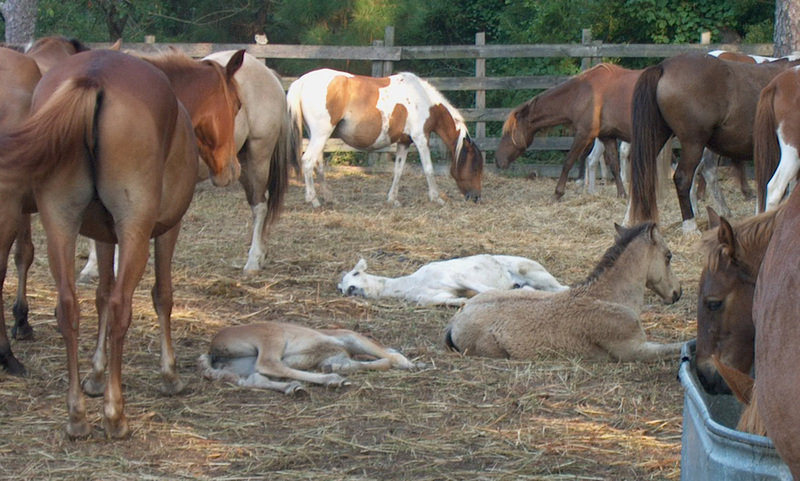 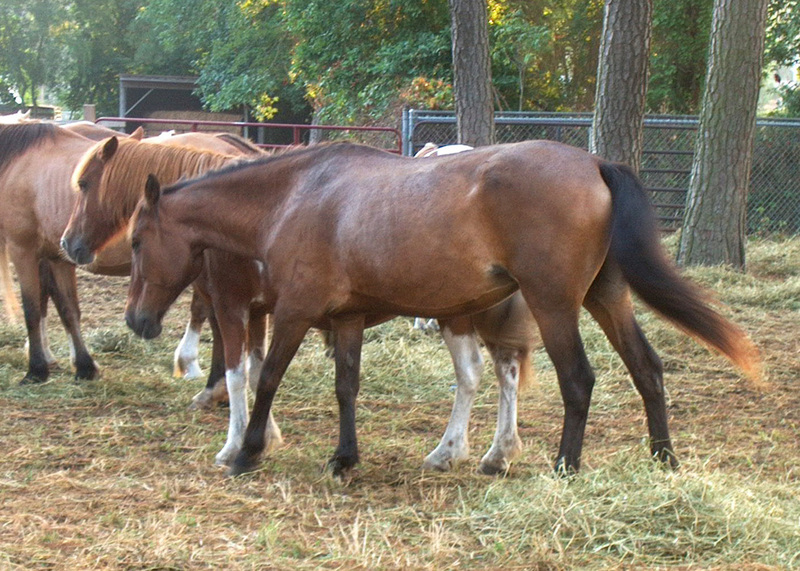 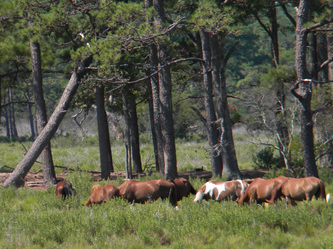 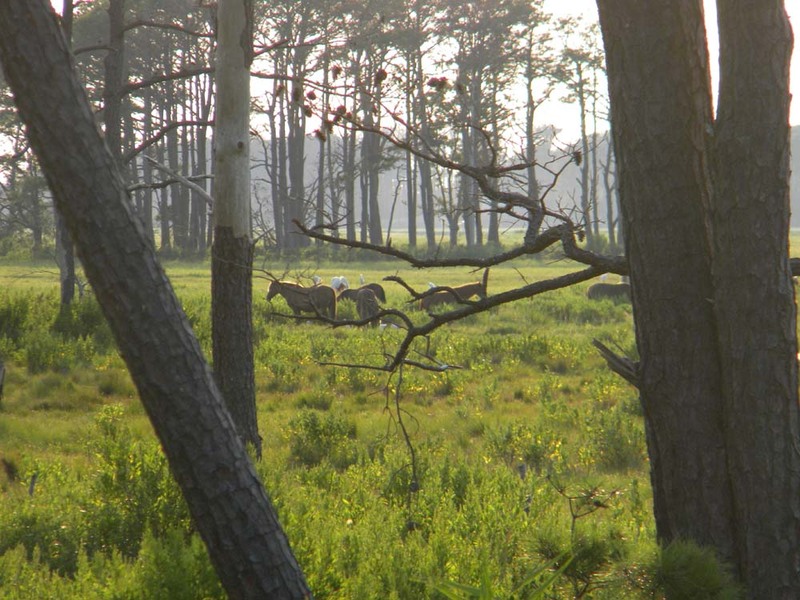 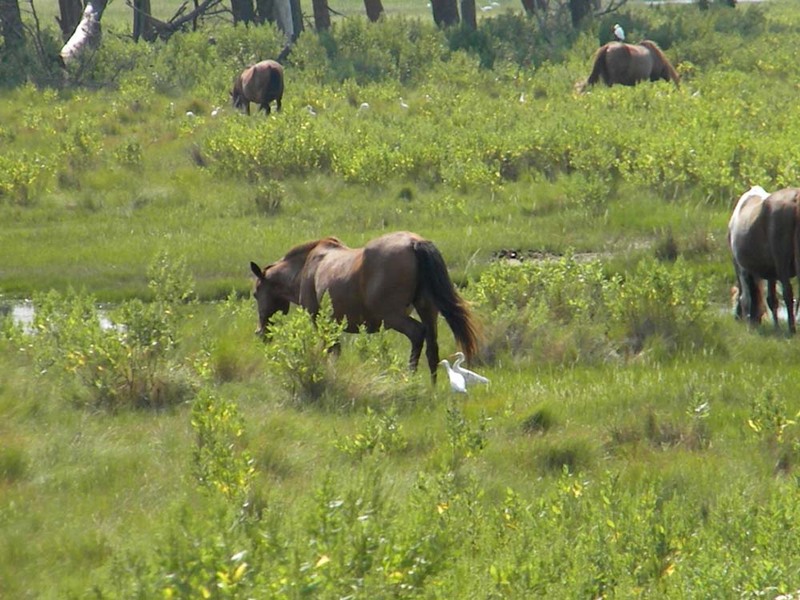 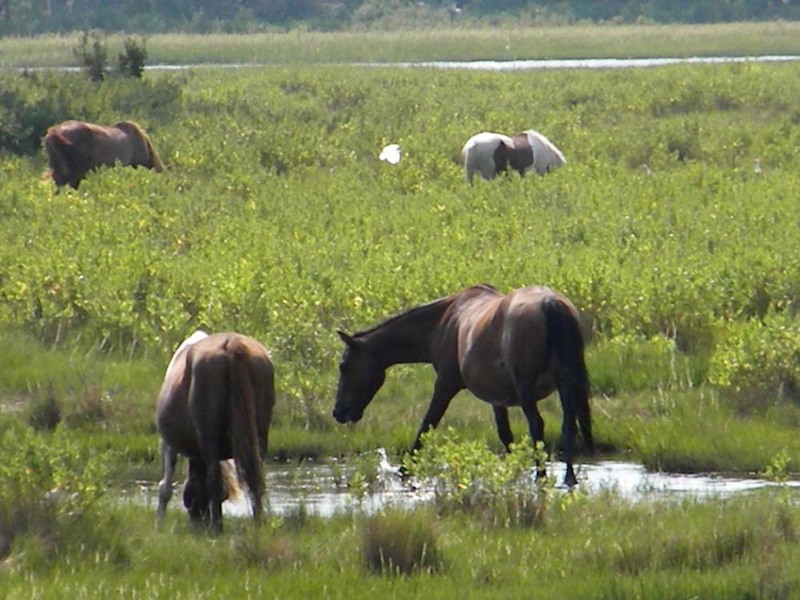 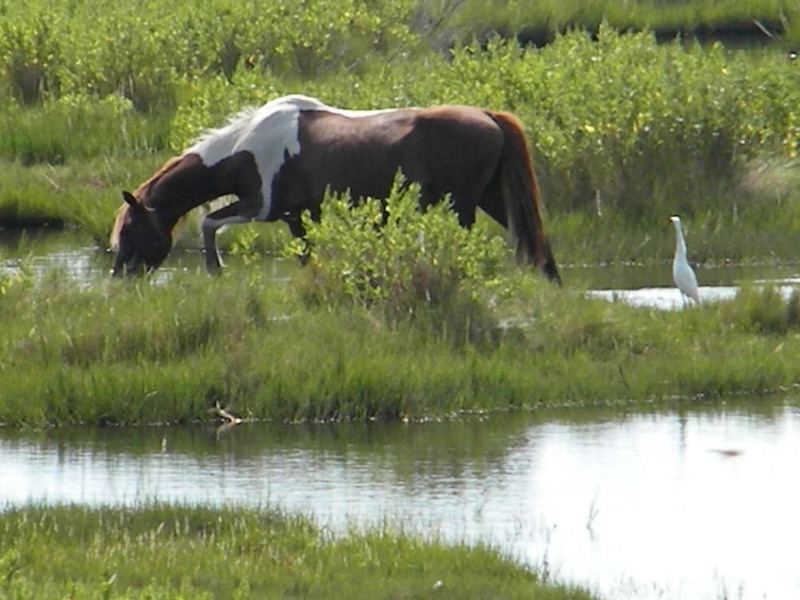 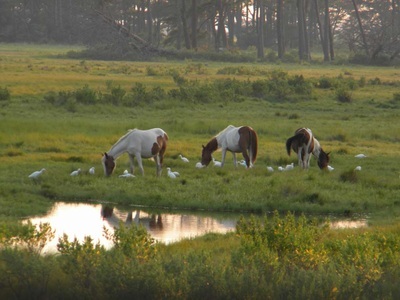 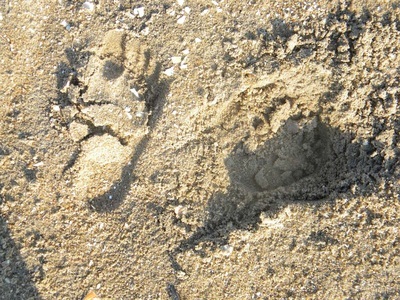 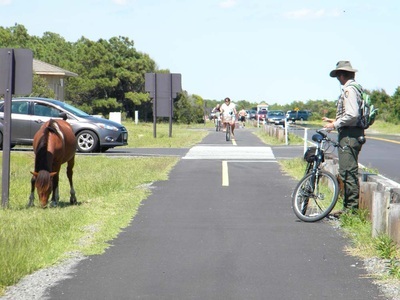 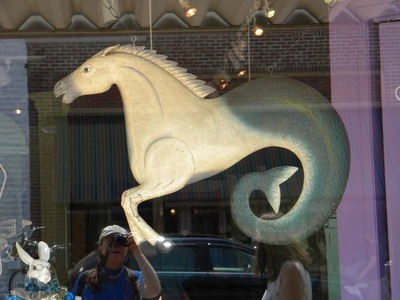 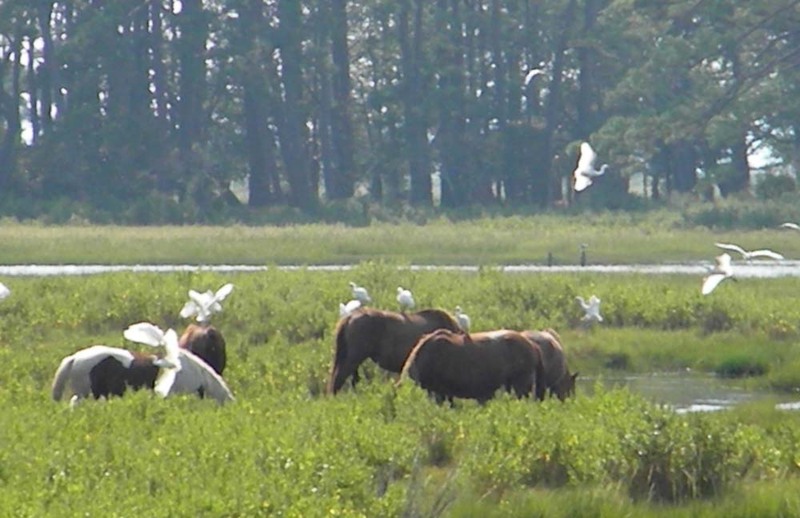 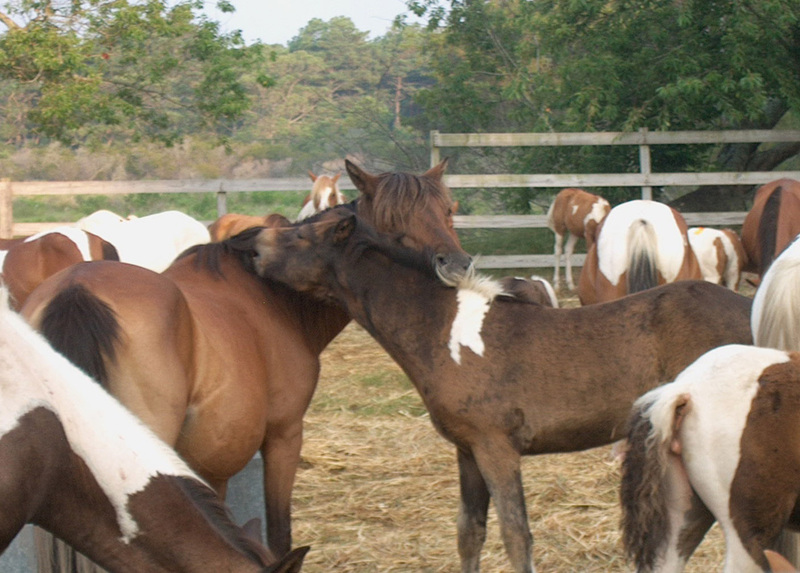 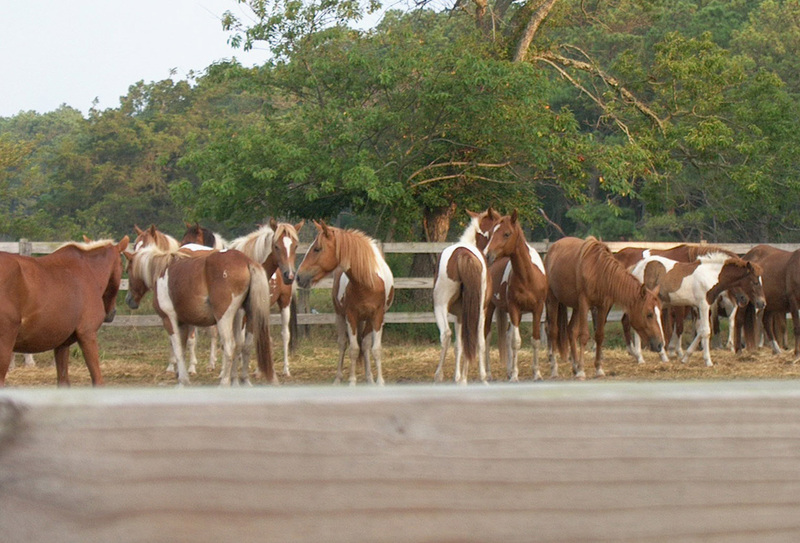 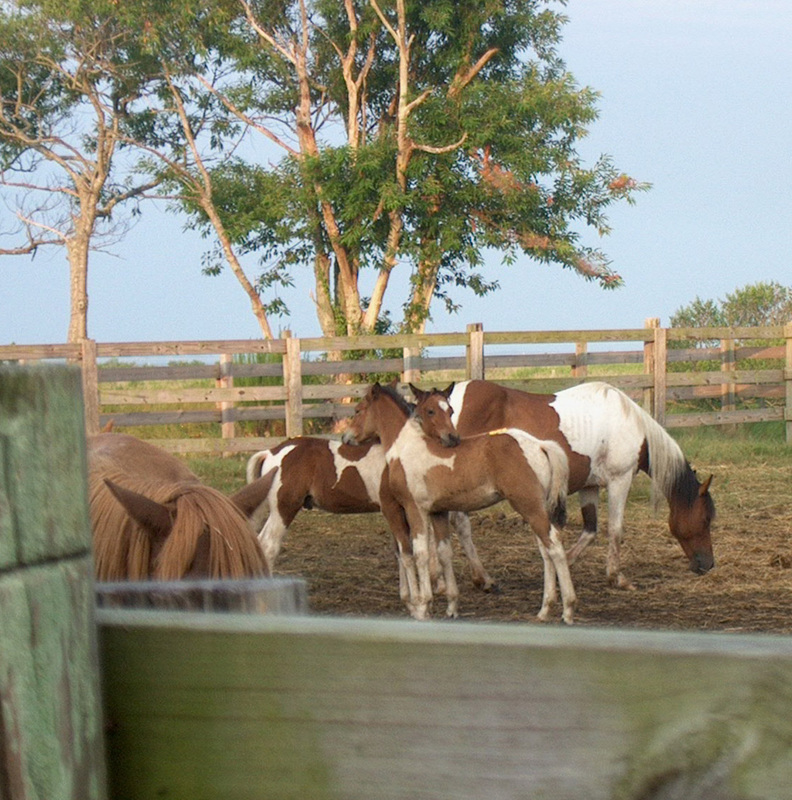 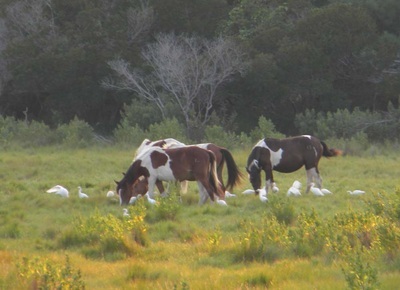 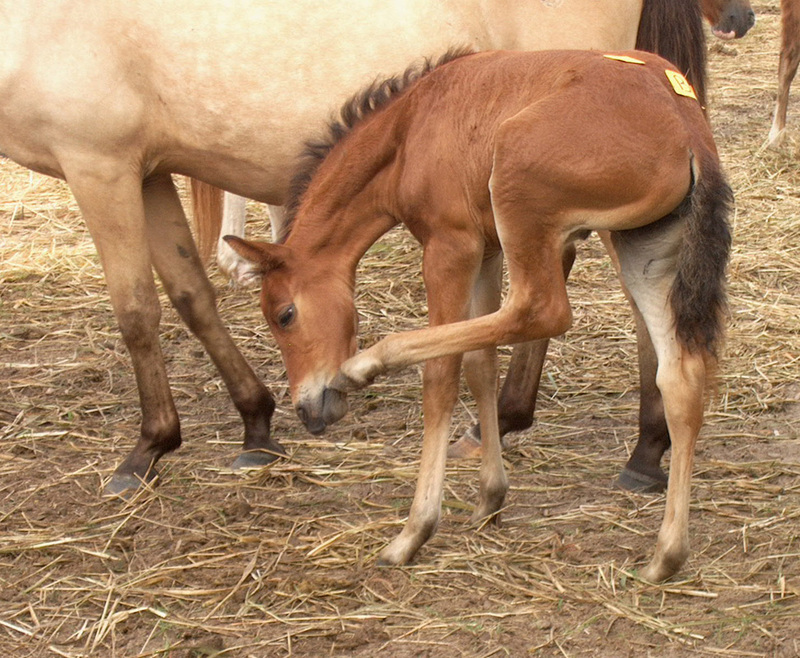 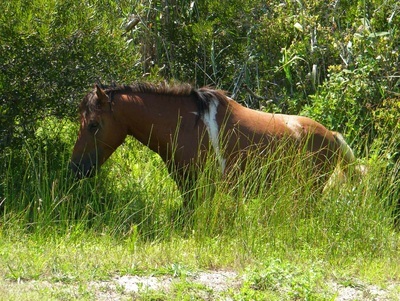 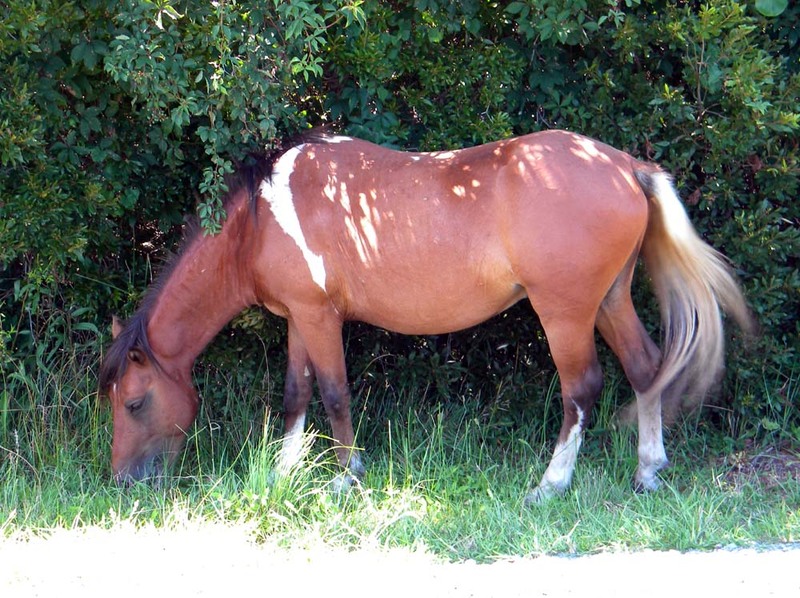 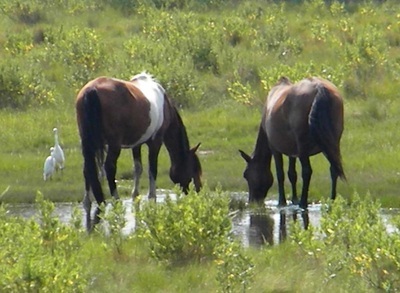 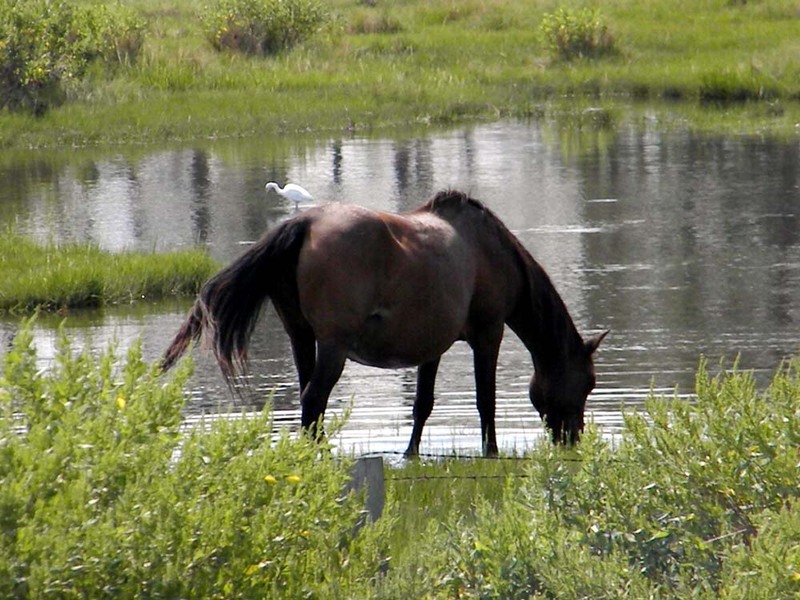 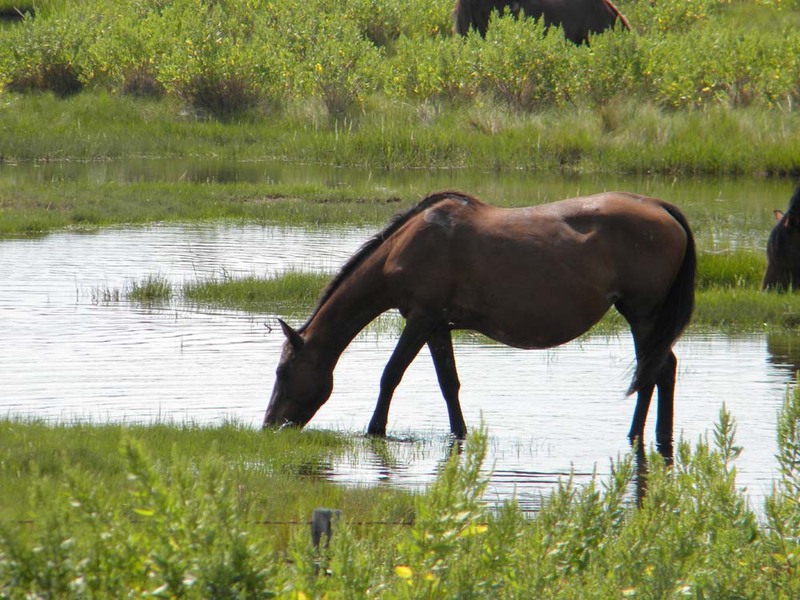 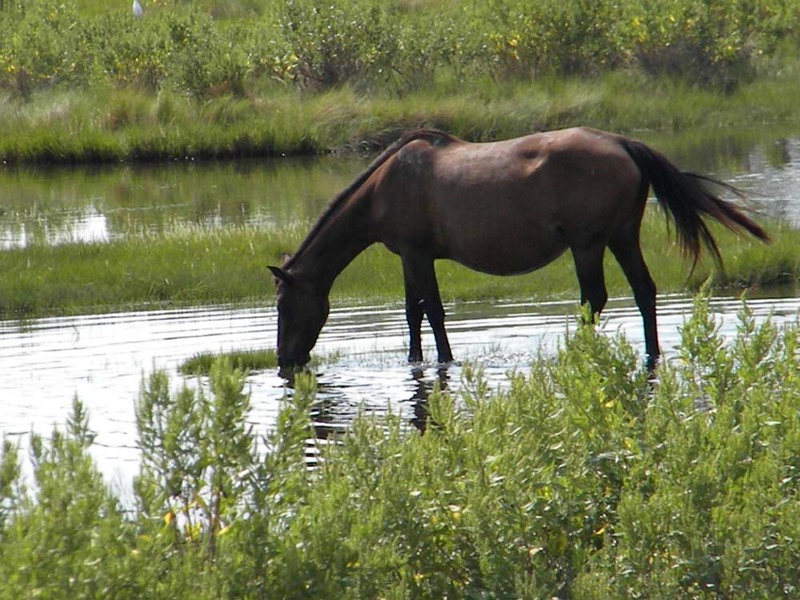 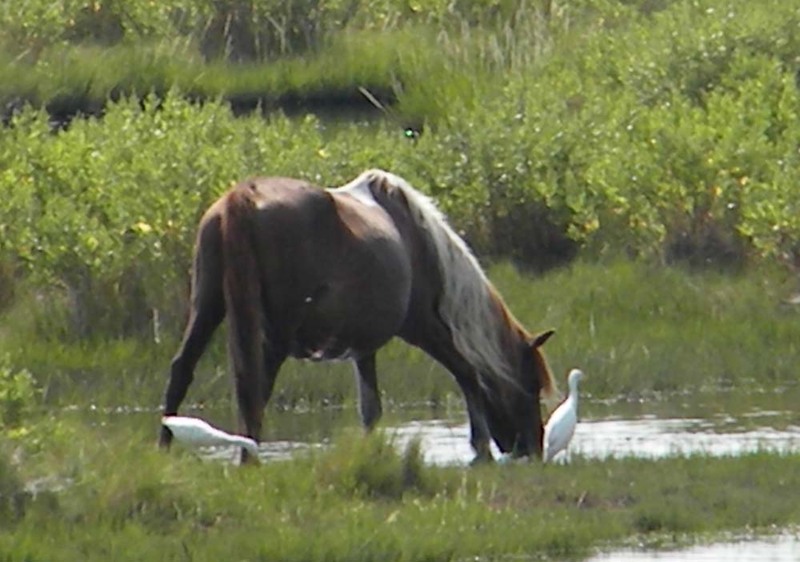 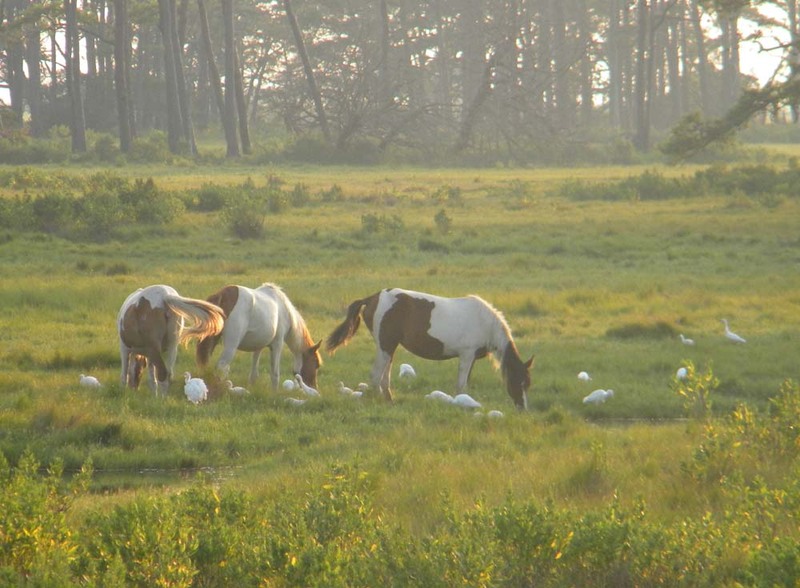 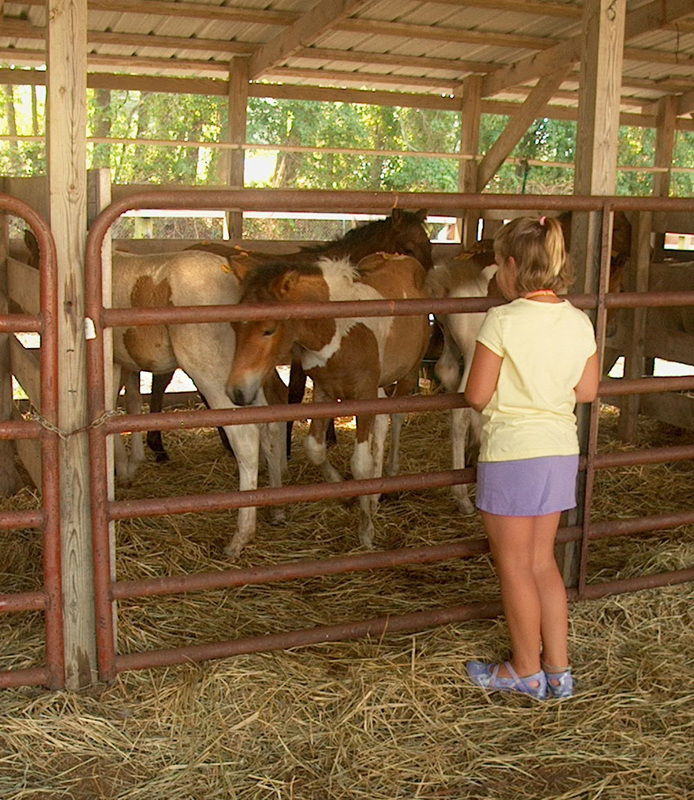 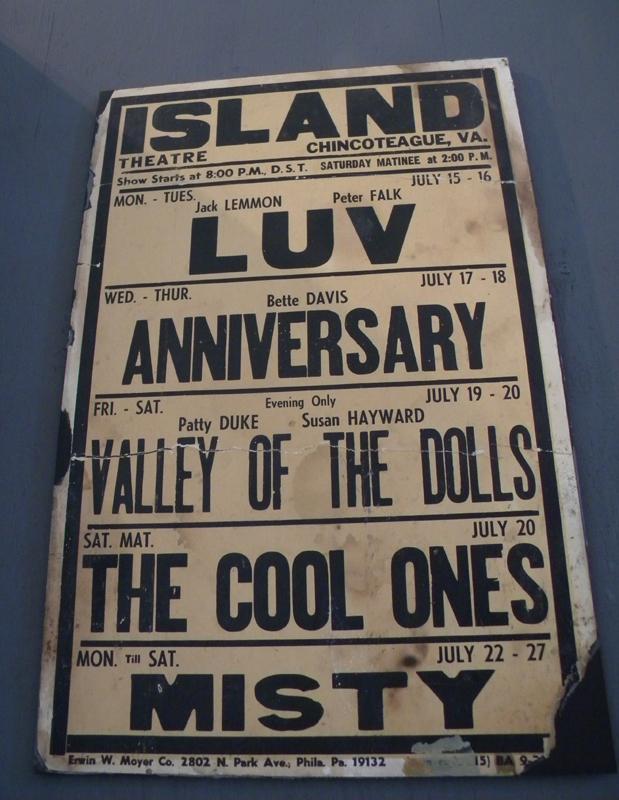 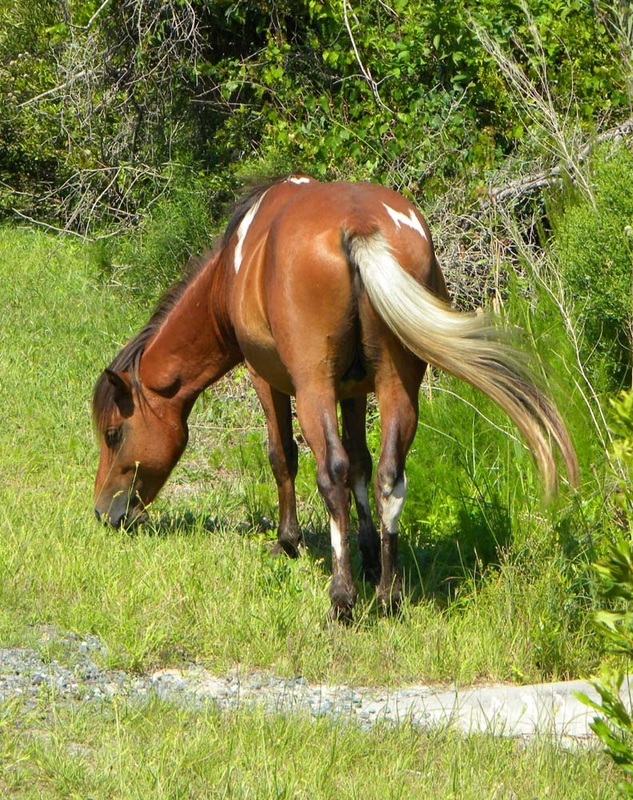 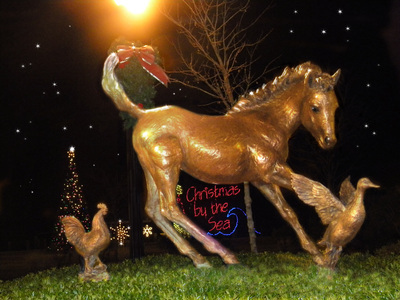 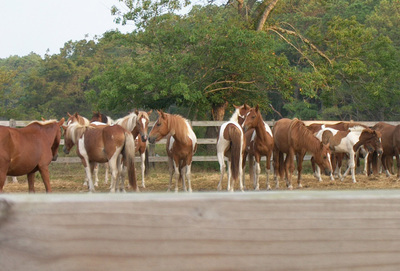 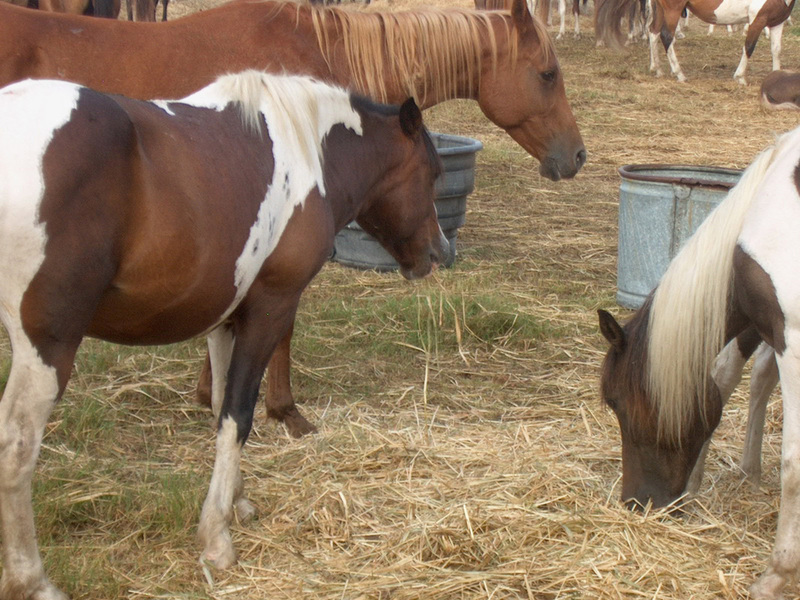 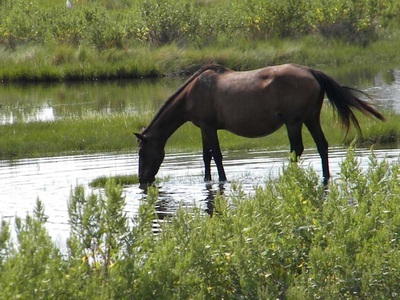 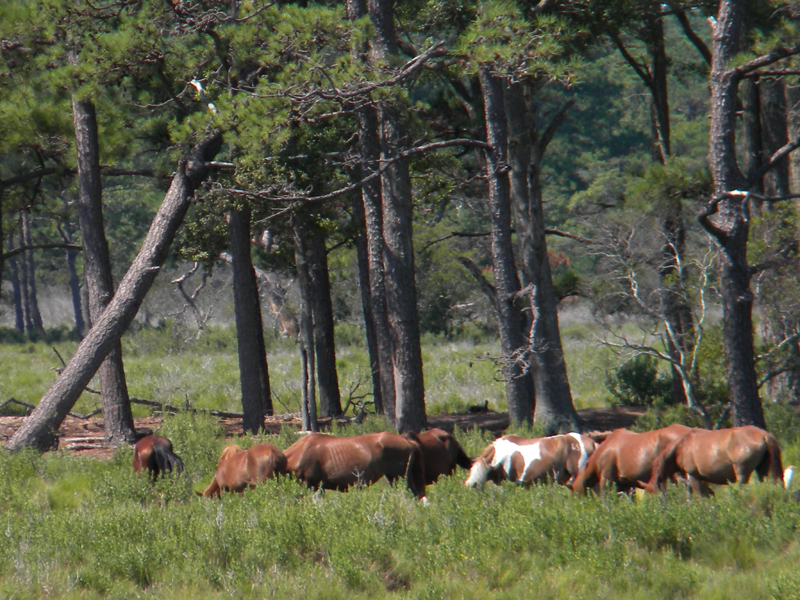 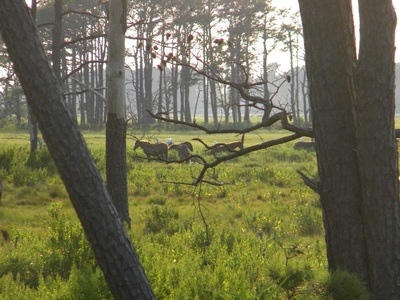 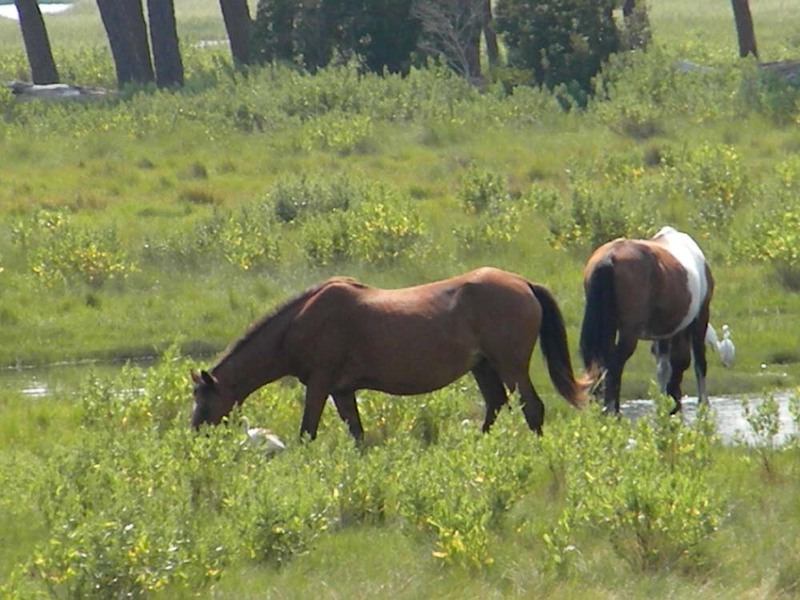 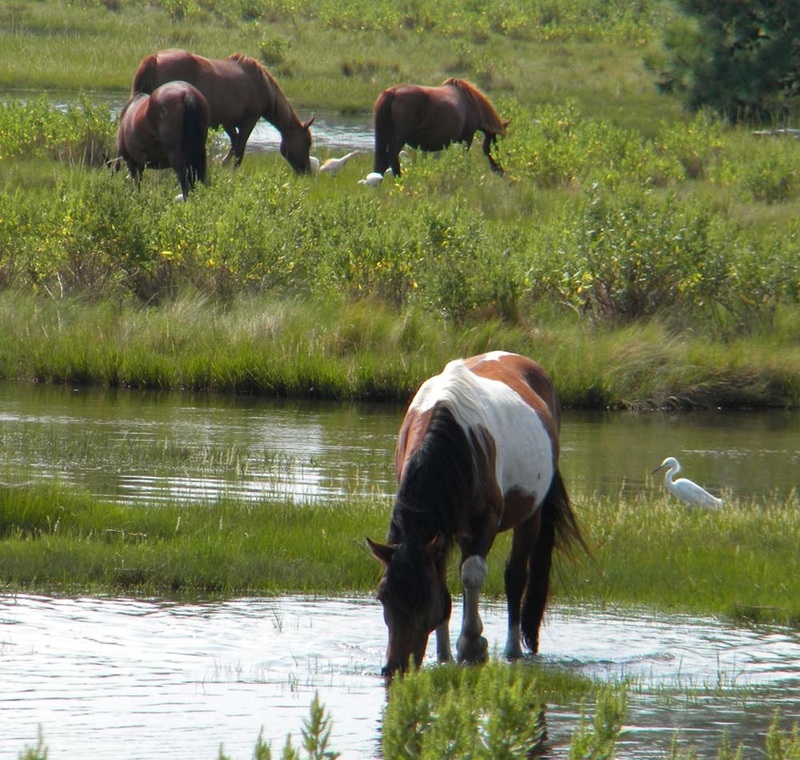 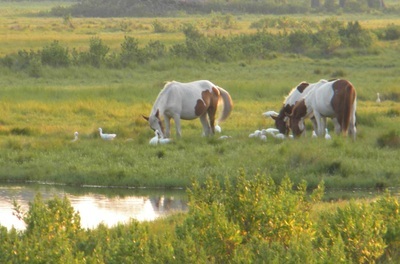 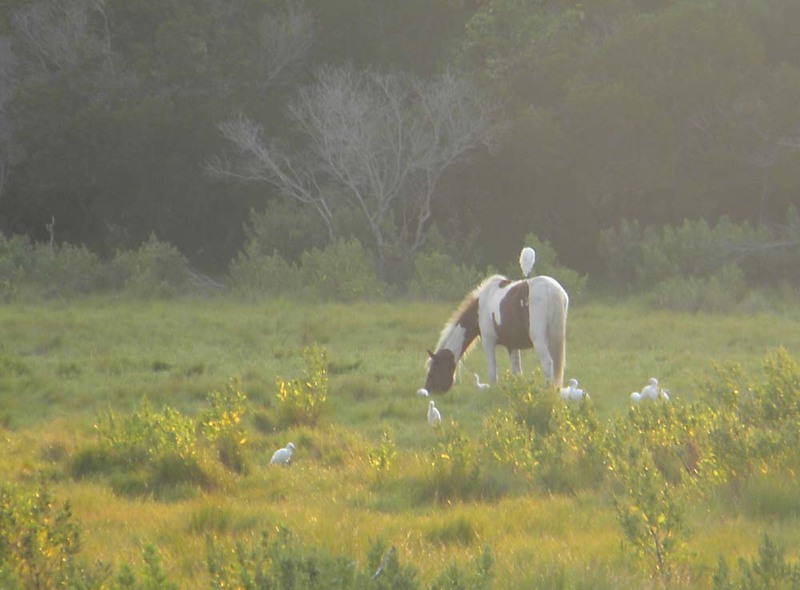 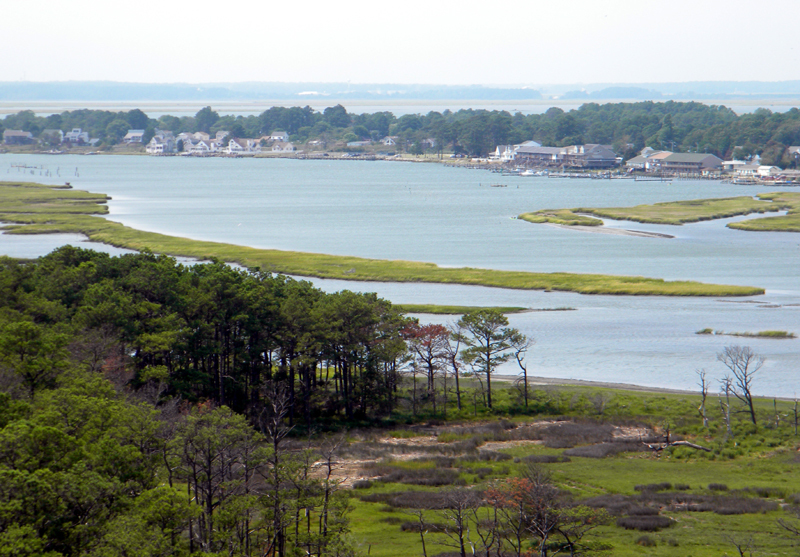 Misty returned to Chincoteague, left several progeny, and died in October of 1972. 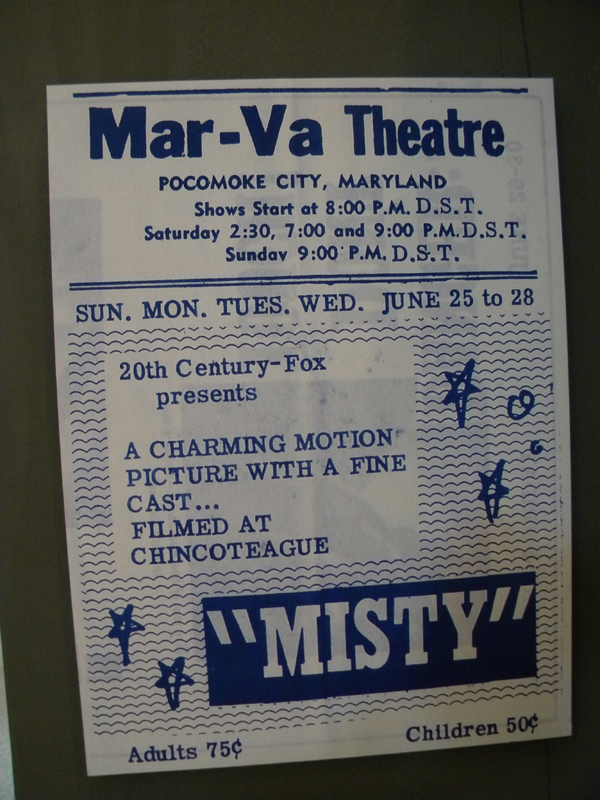 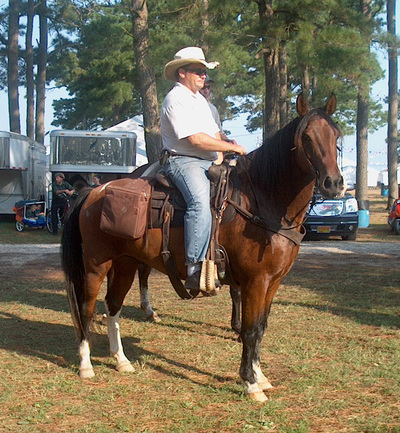 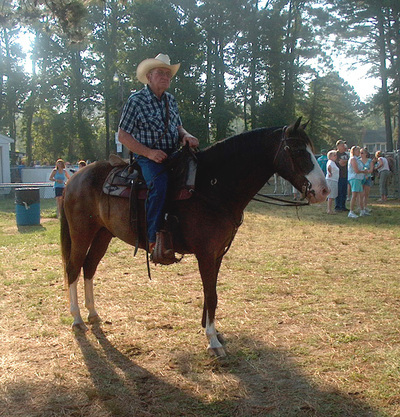 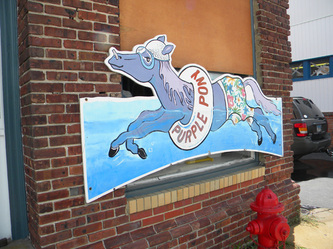 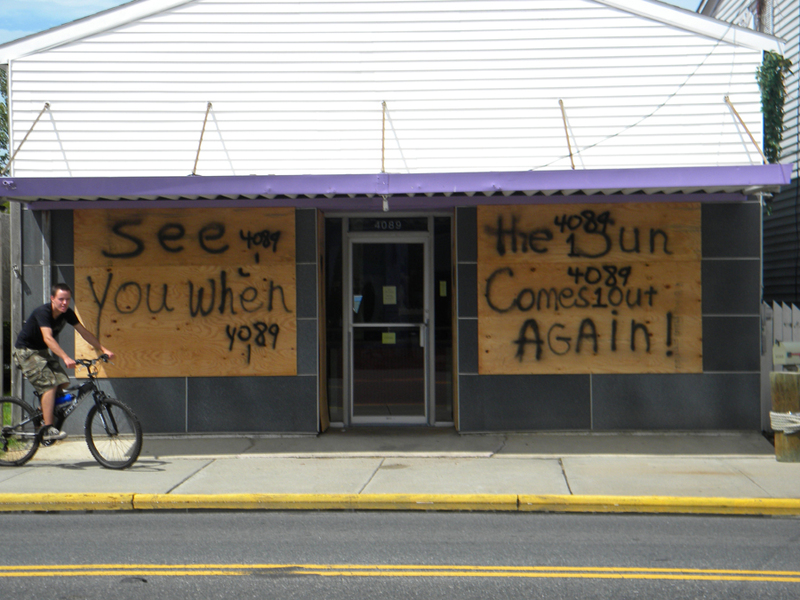 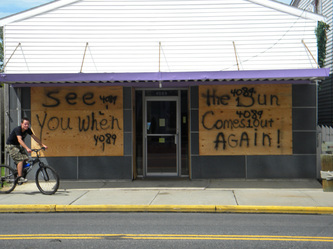 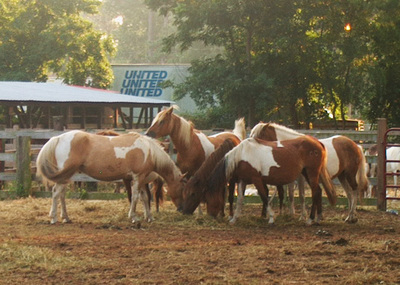 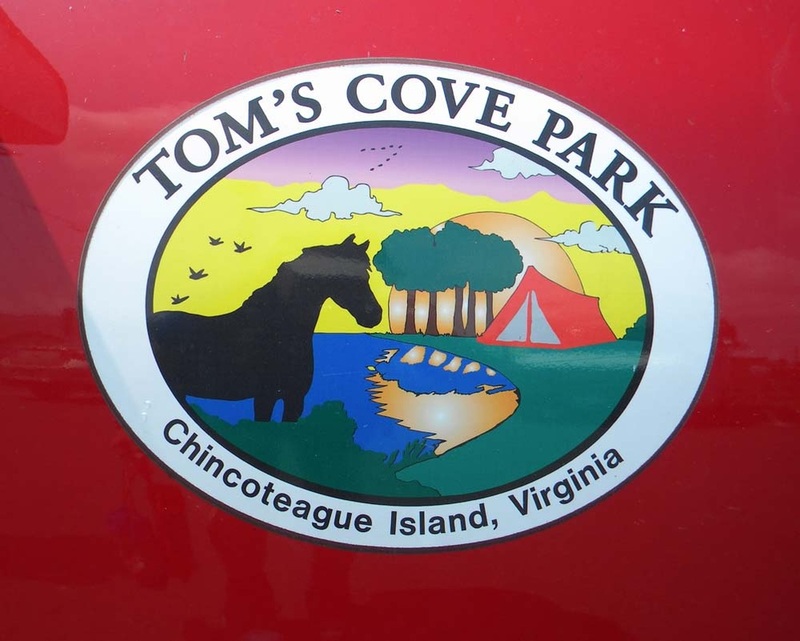 We first went to Chincoteague for the roundup in July of 1972. 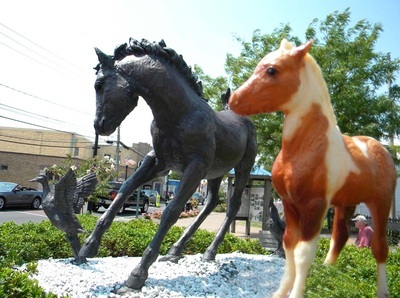 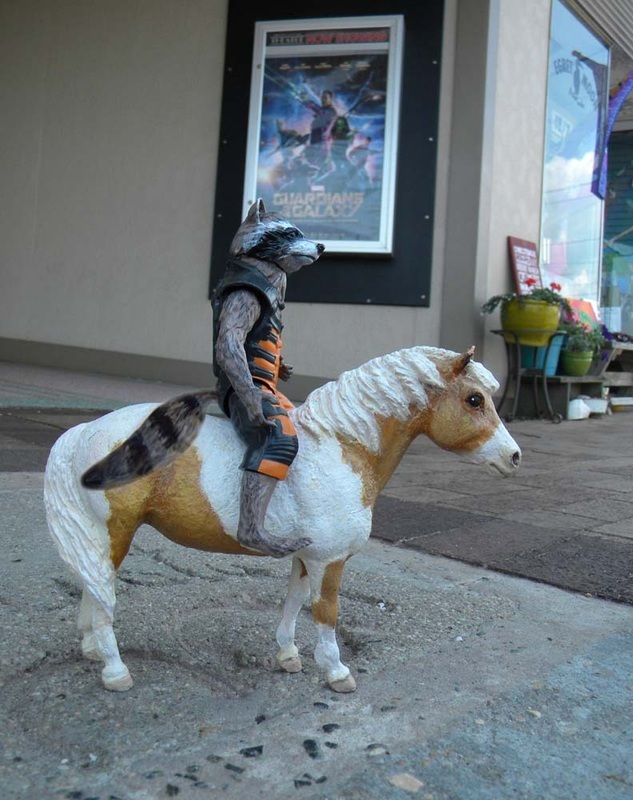 I got a Breyer model of Misty in her gift shop. 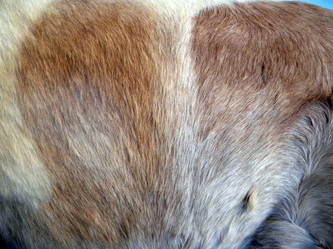 Breyer is the finest horse model maker of all, but they had painted Misty's head to look like the Wesley Dennis cover illustration... which shows Misty in her foal coat, a silvery cream with the golden palomino color she'd be showing through around her eyes. 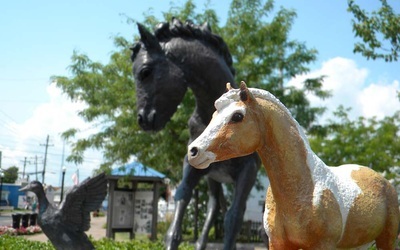 I repainted the model from photos of Misty. I never took one myself. 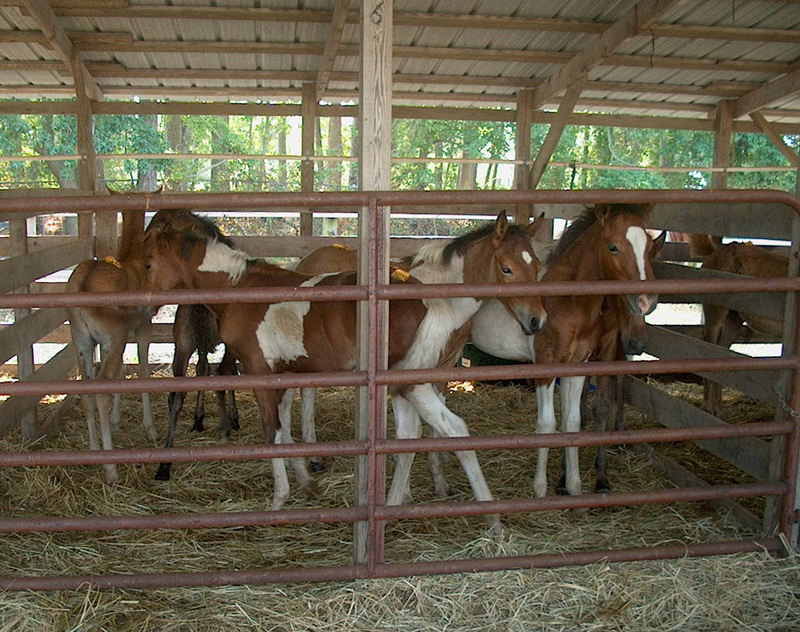 She was dozing in her stall and I didn't want to disturb her. 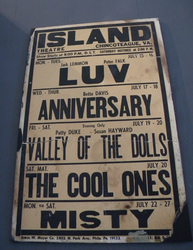 I've gone back nearly every year since.